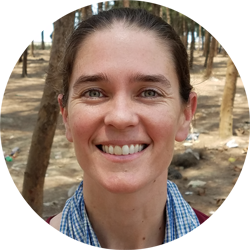 Meredith Walsh joined Community Partners International (CPI) in November 2017 to lead the rapid scale-up of CPI’s operations and programs in Bangladesh. Meredith started her career in the Philippines with the U. S. Peace Corps in 2000, spending three years training teachers to improve English teaching and assisting local doctors and midwives in reproductive health and family planning activities for rural communities. This experience inspired her to pursue a career in public health and, in 2004, she embarked on a Master of Public Health degree. In 2005, Meredith moved to the Thailand-Myanmar border where she spent the next four years working as a Technical Advisor for Reproductive and Child Health for the Mae Tao Clinic and the Burma Medical Association. In 2009, Meredith returned to the U. S. and completed a Certificate in Registered Nursing and Masters of Science in Nursing. From 2010 to 2017, she worked at the Edward M. Kennedy Community Health Center in Worcester, MA as a Registered Nurse and Family Nurse Practitioner. During this period she co-founded and led the Worcester Refugee Access Project (WRAP), an organization that assists refugees from Myanmar in Worcester to achieve self-reliance through mentoring, advocacy, and material support. In 2012, Meredith completed a consultancy with the UN Population Fund to conduct a baseline assessment of reproductive health services in three refugee camps on the Thailand-Myanmar border. Meredith has won several awards including the ’29 Who Shine’ award from Massachusetts Public Higher Education, the ‘Community Engagement Award’ from the Colleges of Worcester Consortium, and the ‘Celebrate Community Service Award’ from the Rotary Club of Worcester, MA. Meredith holds a Bachelor of Arts Degree from Smith College, Northampton, MA, a Master of Public Health Degree from Tulane University School of Public Health and Tropical Medicine, New Orleans, LA, and Master of Science in Nursing Degree from the University of Massachusetts Graduate School of Nursing, Worcester, MA.